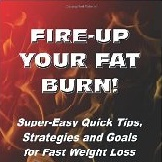 How many calories in Kidney Beans? See below, the Kidney Beans calories for the different serving sizes. 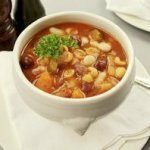 We provide you with the Kidney Beans nutrition facts and the Kidney Beans benefits to help you to lose weight and eat a healthy diet. Kidney beans are generally purchased dry or in cans. They provide an excellent source of vitamin B1, B9 (folate), K, fiber, manganese, protein, iron, phosphorus, copper, potassium and magnesium. As Kidney beans are high in fiber, they are great for our digestion; lowering cholesterol and helping us feel fuller quicker. They are also believed to be good for diabetics, as they are thought to help regulate blood sugar levels. 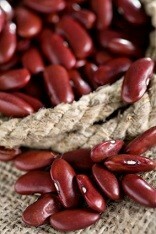 Other Kidney beans benefits include reducing the risk of heart disease. Below are three calorie tables allowing you to compare the calories when either raw, boiled and canned. We also have a detailed nutrient table. See our vegetable calories comparison chart to compare the calories in Kidney Beans with the calories in other vegetables. Also, have a look how nutritious Kidney Beans are in comparison to the other vegetable nutrition facts.